Global ECU remap leader Superchips has announced the latest addition to its portfolio of engine ECU remaps. Owners of the Porsche Macan S diesel 258bhp version can experience not only additional power and torque but also, potentially greater fuel economy. The conversion adds an impressive 40bhp to the six-cylinder turbodiesel at 3377rpm but more impressive is the gain in torque; 85Nm at the same engine speed, a gain of more than 16%. 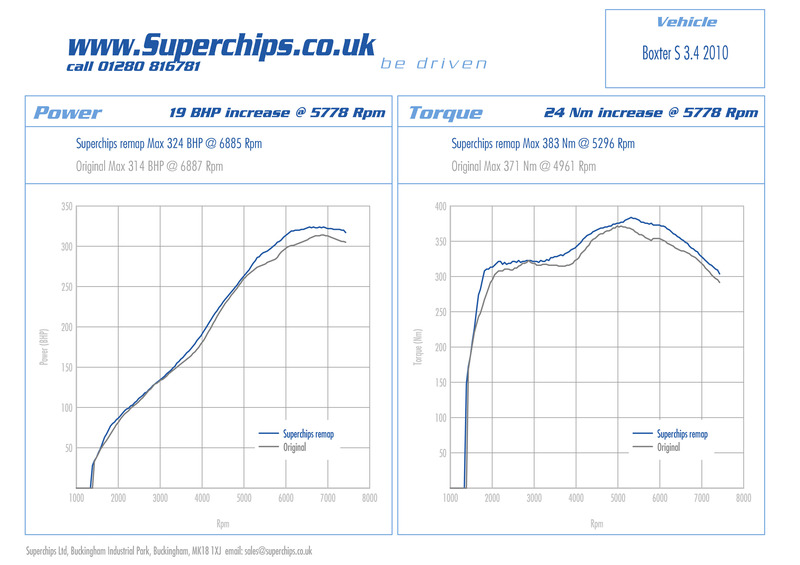 What is more impressive than the pure figures on paper is the way the additional power and torque are delivered; the curves for the Superchips conversion follow the original Porsche versions perfectly but shifted up, meaning the model’s driveability and sporting nature are retained but added to. In addition, drivers can expect to see gains in fuel economy of up to 7%, when compared with a similar pre-conversion driving style. The cost of the Porsche Macan S diesel remap is £365 including VAT and labour. The conversion is covered by Superchips’ 12-month/30,000-mile warranty*. Superchips is pleased to unveil a performance raising ECU remap for the 310 PS Porsche Boxster 3.4S, which uses Siemens engine management. 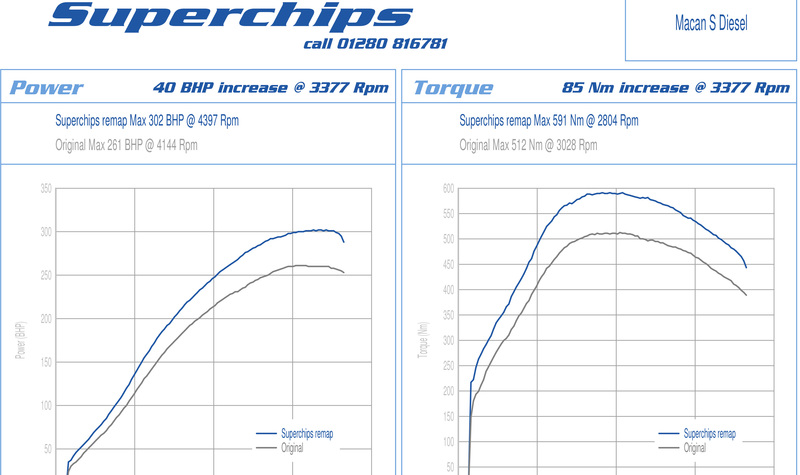 The Superchips ECU remap, which takes the form of an OBDII flash delivers a maximum brakehorsepower gain of 19 bhp at 5778 rpm and torque gain of 24 Nm at 5778 rpm, delivering refined extra performance for overtaking, fast cruising or trackdays. Superchips Ltd, the world’s leader in high performance automotive electronic tuning, is delighted to unveil an ECU remap for the 2010 model Porsche Cayenne 3.0 diesel. Responding to customer demand for increased low speed torque, Superchips engineers extensively analysed the Porsche’s Bosch EDC17 ECU, finding a number of areas where performance optimisation could occur on the Cayenne’s 2967cc V6 turbo diesel engine without compromising reliability or refinement. Post installation, the Superchips ECU remap sharpens the Cayenne diesel’s powerplant, resulting in a smoother, more responsive, more exhilarating drive. Power is boosted by up to 47 bhp at 4044 rpm, while torque increases by an impressive 82 Nm (60 lb.ft.) Crucially, for a 2100 kilo SUV, the Superchips ECU remap improves the Cayenne Diesel’s performance from just 1800rpm, enabling swift, relaxed progress for fast road driving, overtaking, load hauling or off roading. 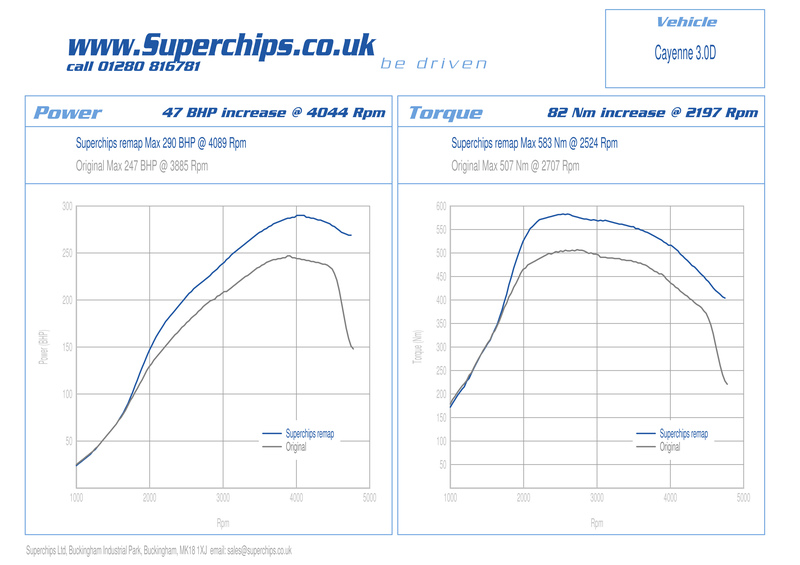 Pleasingly, the Porsche Caynenne’s much praised fuel economy is unaffected by the Superchips ECU remap and in most instances consumption improves due to the extra low rev torque available to the driver. Installation of the Superchips ECU remap for Porsche Cayenne Diesel Sport models entails customers visiting one of approximately 80 Superchips performance centres, where trained technicians can undertake the remapping procedure. 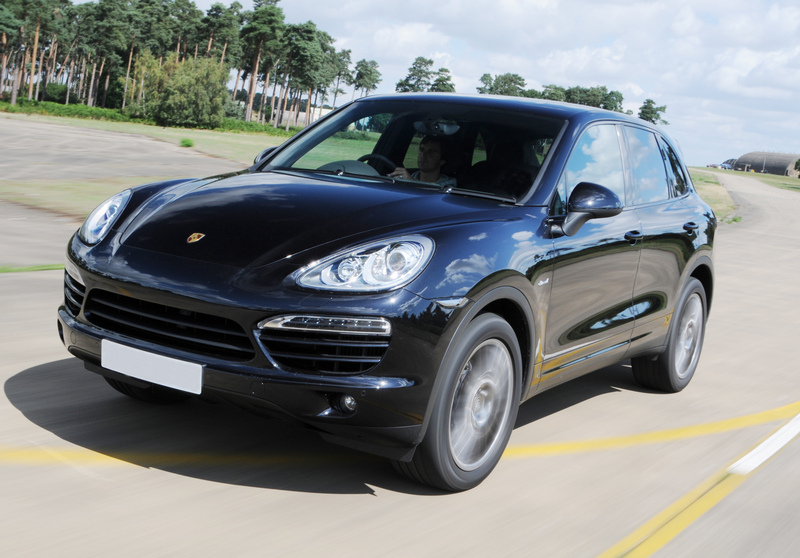 Suitable for Porsche Cayenne Diesel models produced from March 2010 onwards, the Superchips ECU remap is available now directly from Superchips and its UK dealer network, priced at £445.00, including VAT @ 20%.